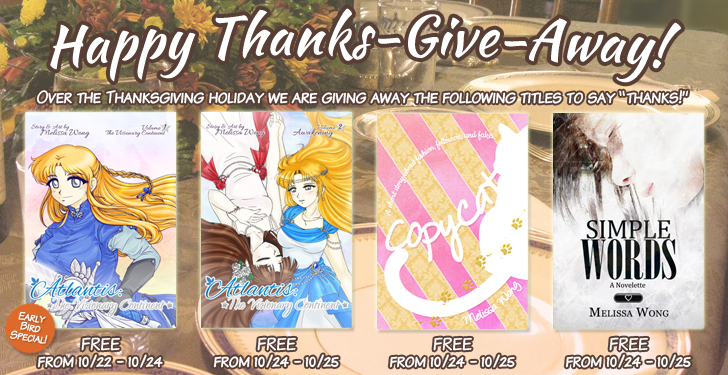 To say thank you to my readers, all my available works are free over the Thanksgiving holiday. That’s right–free! 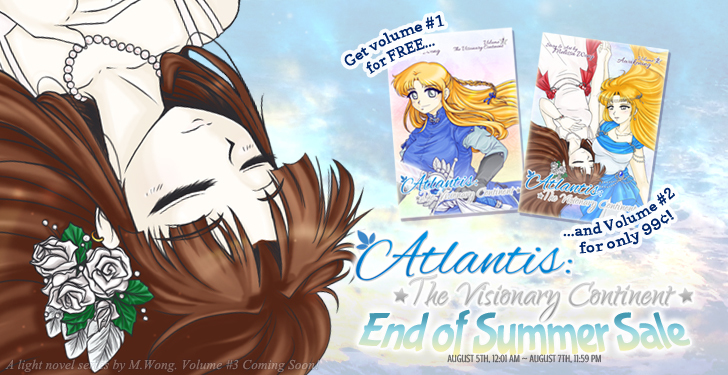 If you’ve been waiting to pick up volume #2 of the Atlantis: TVC series, or to try one of my other stories, now is the time! Want something to curl up with while you snack on leftovers? This deal is for you! Have a friend you think may be interested in one of the stories listed above? Feel free to share this promotion! It’s for ALL my readers–current and future. Thank you all for your support. I am truly thankful for each and every one of you.